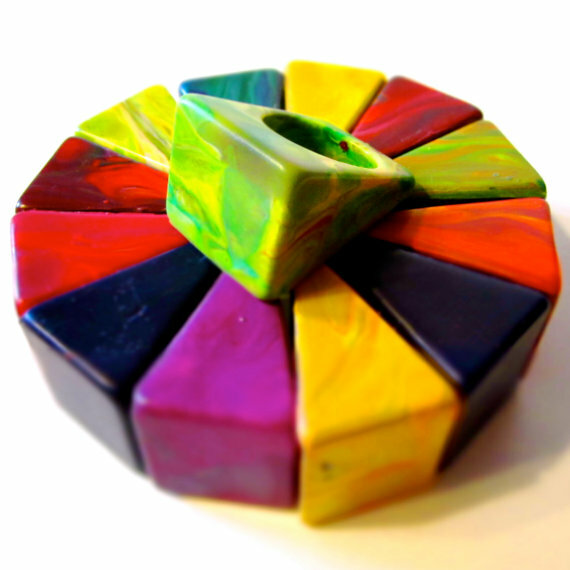 Each crayon is unique in its Ring shape and combination of rainbow colors! Rainbow Ring Crayons measure approximately 1″ wide and 1.5″ deep. 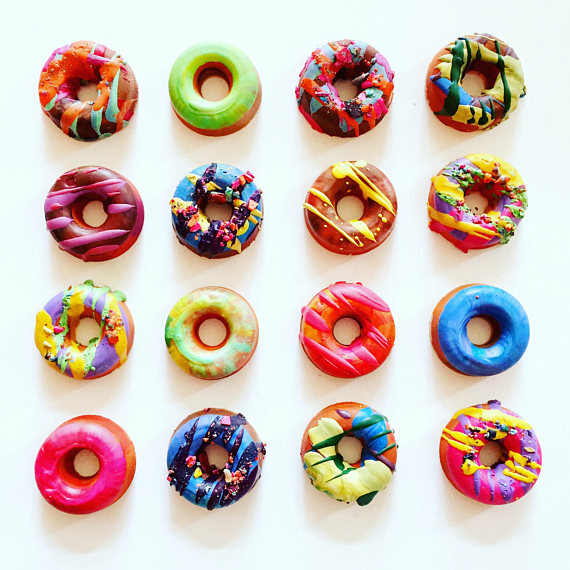 These Mini Donut Rainbow Crayons look good enough to eat! This is a listing for a 4 pack of Mini Donut Original Rainbow Crayons. This boxed set will be a mixture of “frosted,” “drizzled,” and “crunch” finishes in a variety of colors. Each pack will vary. 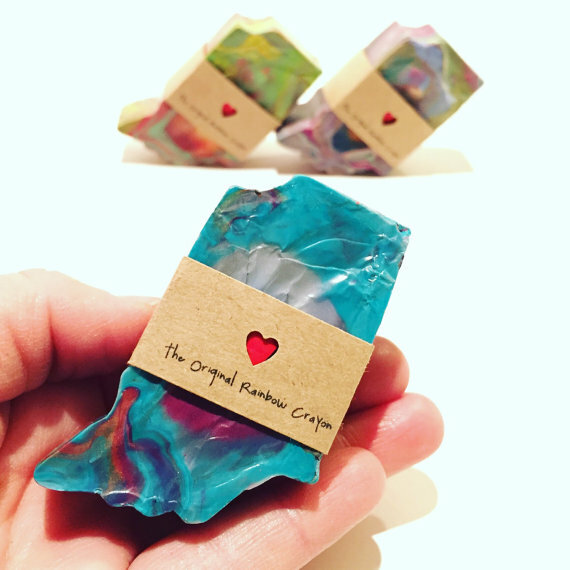 How perfect would a Jumbo Dino Rainbow Crayon be for your DINO-mite child? 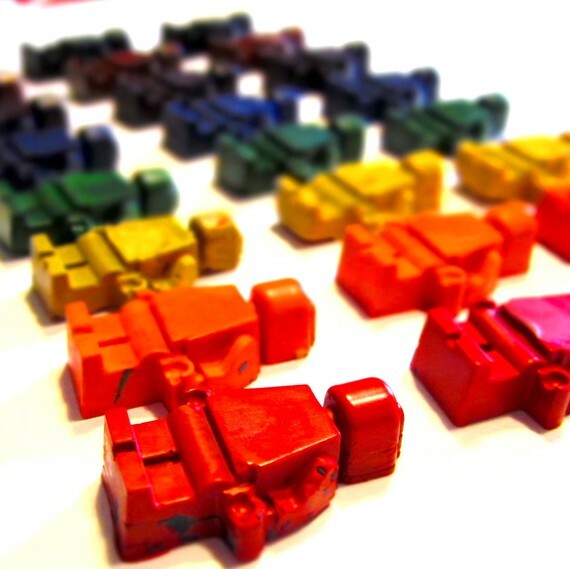 Each crayon is unique in its T Rex shape and combination of rainbow colors! 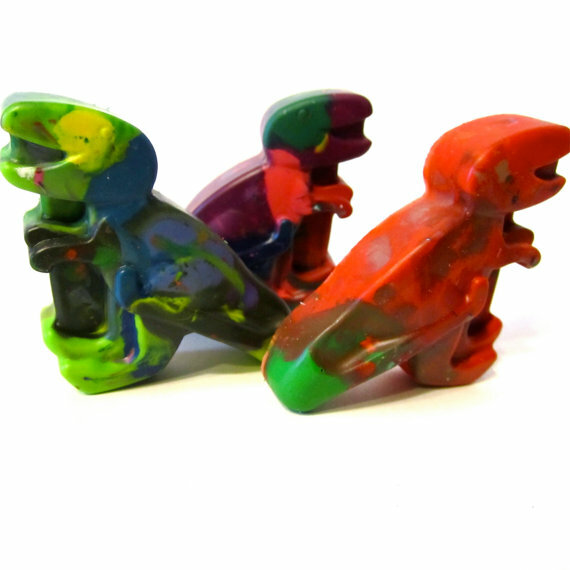 Jumbo T-Rex Rainbow Crayons measure approximately 2.5″x2.5″ and 3/4″ deep. Each Jumbo Crayon comes shrink-wrapped for extra protection and easy gifting. Choose your set size from the drop-down menu for hours of coloring fun! 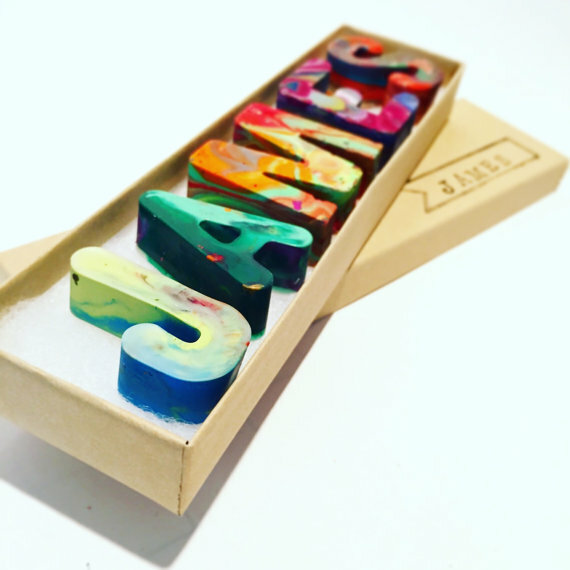 Our Original Alphabet Rainbow Crayons make great customized gift sets! This listing is for 1-4 Rainbow Crayon letters in a gift box with the name or word stamped on the front of the box. Additional letters can be added when checking out from the drop down menu. There is certainly more than corn in Indiana! Show off your Hoosier handmade pride with this colorful, Rainbow Crayon™ creation!